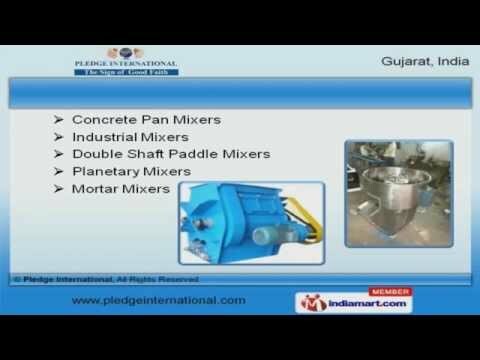 Welcome to Pledge International, Manufacturer and Exporter of Industrial Mixer, Blender, Tank and Reactor Vessels. The company was incepted in 2011 at Ahmedabad. We export to Gulf, Africa, Bangladesh and other countries. Petron Engineering Limited and Jay Chemical Limited are some of our elite clients and we are backed by Sturdy construction & reliable performance. We offer a wide array of Muller Mixers, Ribbon and Industrial Blenders. Our Concrete Pan, Industrial and Mortar Mixers are best in the industry amongst others. We offer Powder, Liquid and Sand Mixers that are superior in performance. Heavy Duty, Putty and Spices Mixers offered by us are some of our best selling products. Along with that we offer Cone Mixers, Industrial Tank and Reactor Vessels that are a class apart. We also provide Vibrating Tables and Mass Mixers for Chemical Industry that are extremely reliable.